I won’t be surprising anybody when I say that Paris is a multicultural and cosmopolitan city. But there are certain little corners of Paris that will truly transport you elsewhere, and you may not even know that they exist. For instance, if you get off the metro at Louis Blanc up in the North-East, before long you’ll find yourself in an Indian wonderland, brimming with restaurants, grocery stores and overflowing Bollywood film shops. Further south, the ill-frequented 13th arrondissement boasts a vibrant, unofficial Chinatown. If you’re looking for Korean cuisine, head to Dupleix metro in the 15th arrondissement. Russian? The 17th. Vietnamese? Belleville. All these spots are wonderfully diverse and provide a refreshing counter to mainstream French culture, all in the heart of Paris. But my favourite cultural enclave is tucked away in the quieter, south-eastern streets of the 5th arrondissement, far away from the bustle of the Latin Quarter. In these picturesque corners of the city, you’ll find some of Paris’ finest Moroccan and Arabic offerings. A stone’s throw from the metro-marketplace Place Monge lies the stunning Mosquée de Paris. The mosque space itself is reserved for prayer, but the site also houses a heavenly hammam, replete with turquoise mosaics, hot and cold stone pools, massage and a chamber where you lounge on giant floor cushions and sip sweet mint tea. Even if the spa is not your thing, stop by the terrace café for the same mint tea served in kaleidoscopic Moroccan glasses and delicate honey pastries rolled in dates and pistachios. 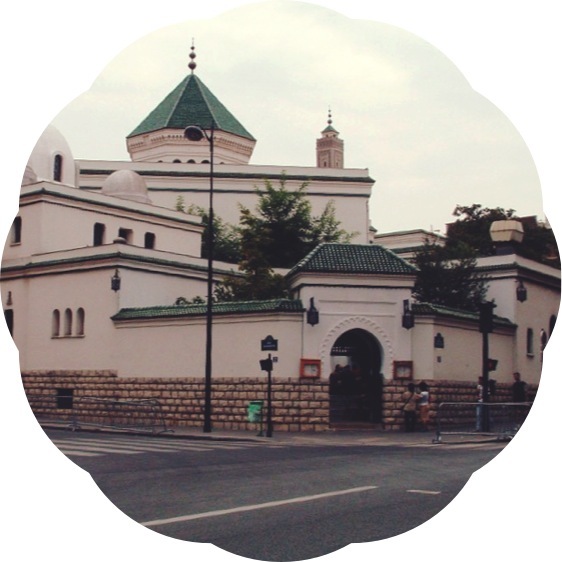 The Mosquée de Paris is viewed by many as the Arab and Islamic cultural heart of Paris, but it is far from the only Arab institution in the area. For within walking distance lies a sparkling modern glass structure, housing the library, tea house, bookshop, meeting space and of course museum which form the Institut du monde arabe (Institute of the Arab World). 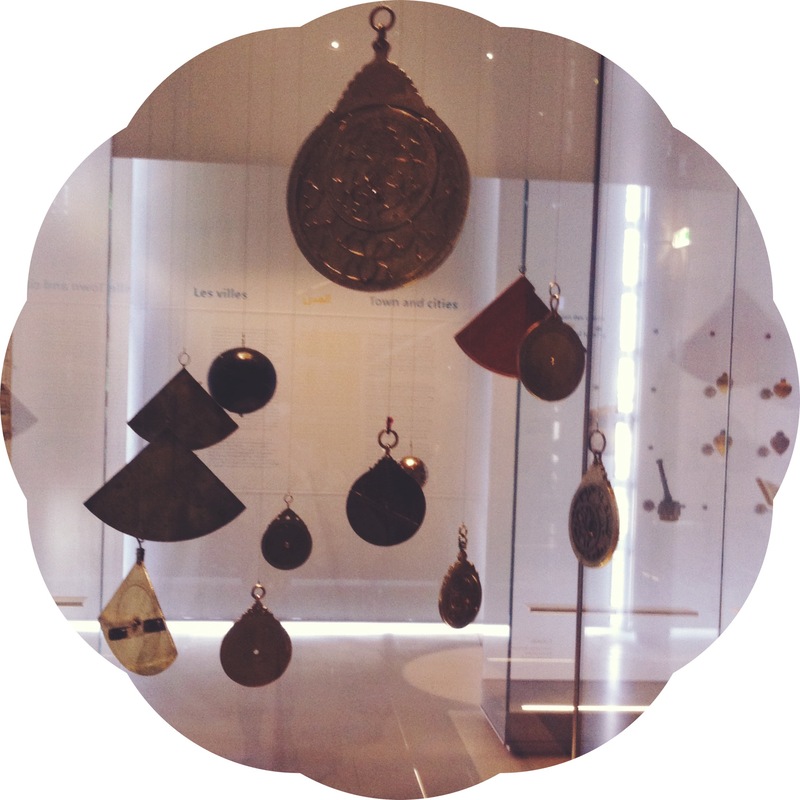 The museum’s focus is vast, presenting myriad elements of Arabic cultural, social and religious history and tradition. The Middle East, North Africa and other geographical hubs are all lovingly represented. In the modern, sunny glass space directly overlooking the Seine, you’ll find intricate manuscripts, gilt jewellery, stone sculptures, traditional dress and historical accounts of life in the Arab world. Unfortunately, despite France’s colonial history in the Maghreb, there is very little material in the Institut du monde arabe about the relationships between the French and Arab worlds, and the overlap of them. Arab culture and Islamic practise are a prominent part of contemporary, postcolonial French society. Yet they are so often maligned and misunderstood. The Institut du monde arabe could go much further than it does to helping us understand Paris’ multicultural present and past, yet it is an important space with the potential for opening up a richer dialogue. This is one of my favorite museums. The often have very interesting expos. Avec plaisir! 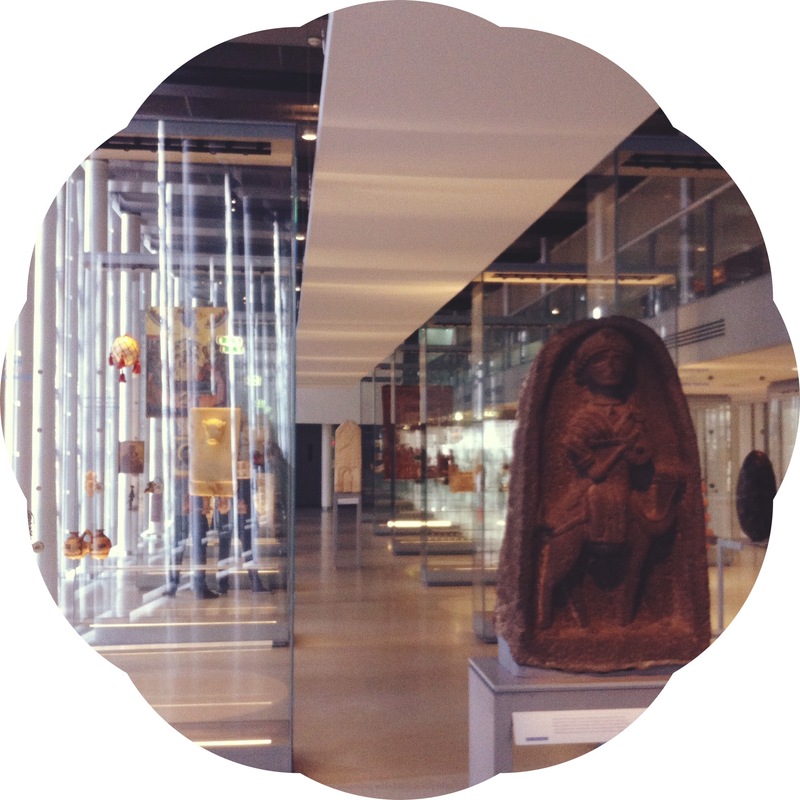 Enjoy discovering some lesser-known museums!